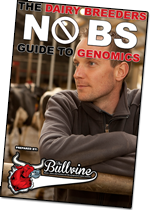 Figuring out which sires to use can be challenging enough, let alone trying to decide which genomic sires will hold their numbers and which sires are going to drop. 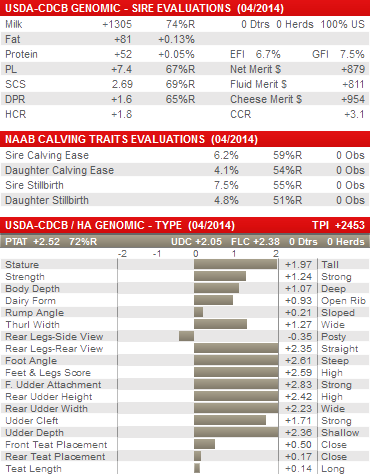 Based on our analysis of the genomic sires in April 2011 compared to theirs indexes in April 2014, we have identified key trends that the sires that held, versus the sires that dropped. 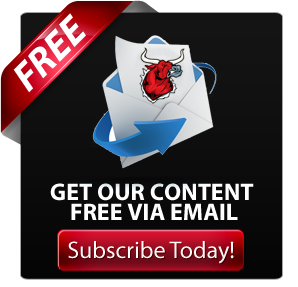 (Read more: The Genomic Roller Coaster – Hold on it’s going to be a bumpy ride). 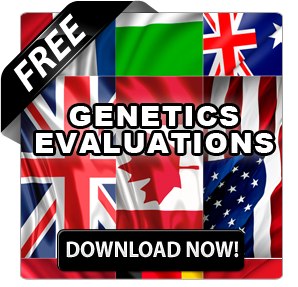 We have taken this analysis and applied it to the current genomic sires who should be receiving an official daughter proof by April 2016. Our analysis identifies the following 12 sires that are most likely to top the lists. Yowza is an extreme outlier sire. 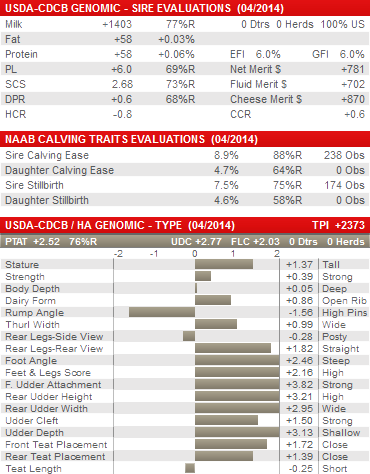 His DGV’s for NM$ are 20% higher than in his official genomic evaluation and almost 30% higher than his parent average. In fact, it’s his lower parent average that is currently keeping him from being higher on the lists. As we identified in the sires from April 2011, the most accurate indicator of genetic potential is their DGV’s versus over inflated parent averages, or, in Yowza’s case, an underestimated parent average. 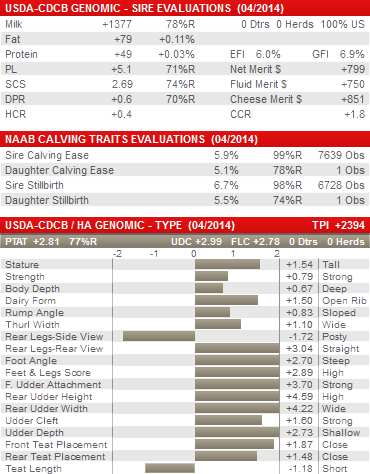 In fact, both Yowza’s dam and sire have DGV’s higher than their parent averages. While Yowza’s +6 for PL is likely to decline, his 1400 lbs of PTAM is likely to hold. Due to his underestimated parent averages there is actually a good chance the Yowza’s TPI is likely to increase slightly with the addition of daughter information into his genetic evaluations. Yowza will need to be protected on his high pins and size and stature. Continuing the precedent set by Bookem, Observer, Gulf and Gillespy comes three new high genomic sires, Balisto, Mccutchen & Topsy. McCutchen is actually a Bookem son that has been heavily used already as a sire of sons. While is NM$ of 655 might concern some, his DGV’s are actually 107 points higher at 762 (18% higher). The part that is somewhat worrisome is his 3.6 PL since earlier our analysis has demonstrated that Genomic Parent Average for Productive Life was the trait that showed the greatest variability compared to actual daughter data (50% range). What we did find is most sires did tend to be closer to their DGV’s for Productive Life than their Parent Averages. Since Mccutchen has a DGV for PL of 3.6, it is reasonable to expect that he will end up around the 3.0 mark. Most likely Mccutchen will end up being a 700-725 NM$ sire and a 2350 TPI sire. This would certainly have him in the top 5 TPI sires. 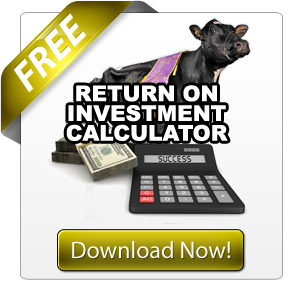 Mccutchen will need to be protected on his milk volumes and DPR. Another Bookem son that should ring the bell as a proven sire, Bumblebee may not have been on most breeder’s radar. At +2386 gTPI, Bumblebee is currently number 431 on the top 500 gTPI sires. This is pretty far down for most elite breeders to have paid much attention to him, especially with other Bookem sons much higher. While Yowza and Mccutchen may ring the bell higher than Bumblebee, he will certainly have many breeders regretting that they did not incorporate him into their breeding programs. The hidden stinger that this Bumblebee possesses are DGV’s that for NM$ that are 107 points higher than his gPA’s and 17% higher than his parent averages. He also gets a significant portion of his genetics from his father. This is something that we have seen to be a reliable indicator of those sires that will hold their genomic values when daughter data is added. Bumblebee will need to be protected on his loin strength as well as rump angle and bone quality, though he should sire desirable udders, solid feet and legs and acceptable dairy strength. Balisto is the second of the sires on our list from De-Su. Balisto has been heavily used based on his genomic indexes and come April 2016 will have a high reliability daughter proof. The one challenge that Balisto does have compared to the trends we have seen is that he gets 61% of his genetics from his mother. Normally this would scare us, but since the maternal line in question here is that of Wesswood-HC Rudy Missy-ET TV EX-92 3E GMD DOM that has proven itself time and time again genomically. Balisto should make out just fine. Balisto will need to be protected on his loin strength, rump angle and rear teat placement, though he should sire more protein and overall pounds of milk than his current genomic proof would indicate. Another Bookem son on our list, Doorman’s calves already impress their breeders. While he certainly will not be a milk sire, anyone using Doorman initially would have been aware of this limitation. What Doorman does have going for him are his extremely high type numbers. While there is a chance that Doorman could be the next Gold Chip and see his proof fall by over 450 TPI points, one difference between the two sires is that Doorman gets most of his genetics from his father, Bookem, who, judging by this list, should be a good thing. While Doorman will never be a high NM$ sire, he will certainly sire high type acceptable production and will end up with a proof very similar to that of Mccutchen. If you are noticing a trend that is because, there is a strong dominance of Bookems on our list. In fact 7 of the 12 sires on our list are Bookem sons. Now to be fair, Topsy is the full brother to Balisto, so it’s not surprising that we would have both on our list. However, unlike Balisto, who had a stronger contribution from his maternal line, Topsy received a greater contribution of his genetics from his sire Bookem. Not a bad thing considering Bookem’s dominance so far. In fact, depending on just how these two sires end up, this could be another strong indicator about the importance of contribution. (Read more: Why Braedale Goldwyn Wasn’t a Great Sire of Sons and Sire vs. Dam – Which has a Greater Impact on Your Herd’s Genetic Improvement?). Similar to Balisto, Topsy will need to be protected on his loin strength, rump angle and rear teat placement, though he also should sire more protein and overall pounds of milk than his current genomic proof would indicate. Topsy should end up with a slighter lower Productive Life evaluation than Balisto. The first non Bookem son on our list is in fact a Bookem grandson. So if Mccutchen were to drop, Willie would be sure to follow. Fortunately for Willie all indicators are that Mccutchen should hold just fine and so Willie himself should hold on well as well. In fact, if we had not accounted for the reliability of the sires in each sires stack, Willie would have been near the top of our list. Though given that his sire is Mccutchen, he is very likely to hold his numbers, we still had to discount Willie for this. In fact, Willie is the third highest outlier sire on our list, behind Yowza and Balisto, of the more than 250 sire we looked at. Willie’s DGV’s for NM$ are 107 points higher than his gPA and 23% higher than his parent averages. This has you considering “Have we regressed young sires from a young sire enough?” or if you believe that his sire is the real deal, then you should have all the confidence in Willie as he has some of the highest DGV’s in the world today. Look for Willie to sire high production, type and fitness, while just needing to be protected on teat length and milking speed. Another popular sire of sons that should hold his genomic numbers pretty well is Mogul. This Dorcy son gets a substantial contribution of his genetics from his sire. As one of the first ART program bulls from Select Sires, it will be interesting to see how well Mogul does as a proven sire. 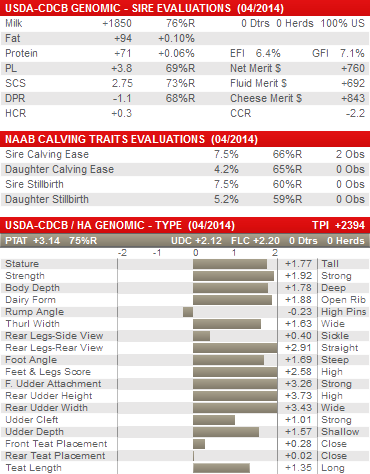 (Read more: Select Sires vs. Semex – A Contrast in Cooperatives). 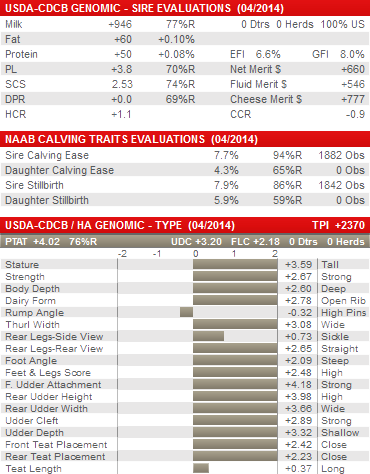 Mogul is one of the all-around solid sires that has solid numbers in all aspects of his genomic evaluation. Hence, his popularity as a sire of sons and bull mothers. It will be interesting to see if he can hold over the magic 1,000 lbs. of milk though he should come in around there. His type numbers should hold around the 2.50 points though he does need to be protected on Daughter Pregnancy Rate. The seventh and final Bookem son on our list is Lucid. Though Lucid has the same sire stack as Mccutchen, he has a much different breeding pattern. Lucid’s maternal line has demonstrated that they can deliver genomically and goes back to Whittier-Farms Lead Mae EX-95 3E GMD herself. A great sire for commercial use, Lucid daughters should milk more than Mccutchen daughters, though Mccutchen daughters should have slightly better udders with more dairy strength. There is no question that Supersire has proven himself as a genomic giant. His extreme values for Milk, and Components have made him an extremely popular flush sire. 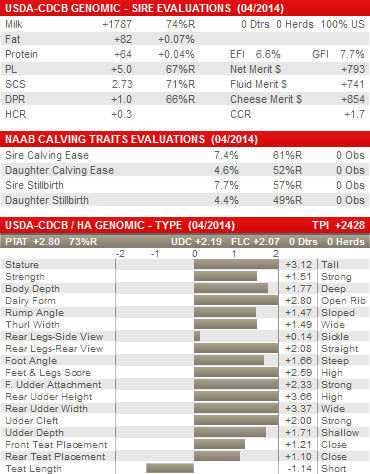 Now with many of his progeny being genomically tested, it is becoming apparent he can pass on his high genomic values. The question becomes will he be able to live up to these expectations when he receives an official daughter proof? Our analysis shows that he should. 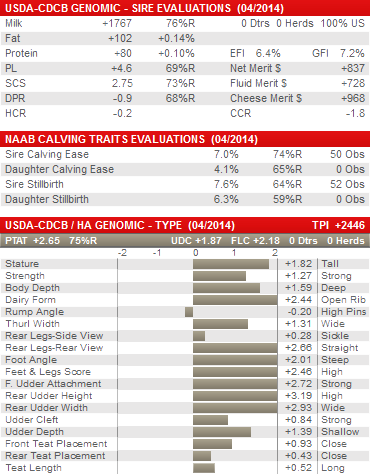 He does possess strong genomic values compared to his already pretty high parent averages. Even with a very potent maternal line, he still gets a strong contribution from his father, and his progeny are demonstrating that they are also getting extreme genomic values. There are the three dominant characteristics that become evident in our analysis. While Supersire daughters will not be winning many shows, his no holes type linear and strong production make him a strong commercial sire that will have a huge impact on genetics around the world. Camaro is a very interesting sire to come to the top of our list. First we have the factor that Stanton bulls in Canada sampled between Aug 2009, and Aug 2012 dropped an average of 50% from their parent averages, (Read more: The Hot House Effect on Sire Sampling) and then you add in the fact that his sire Epic is from a genomic outlier in his own right. 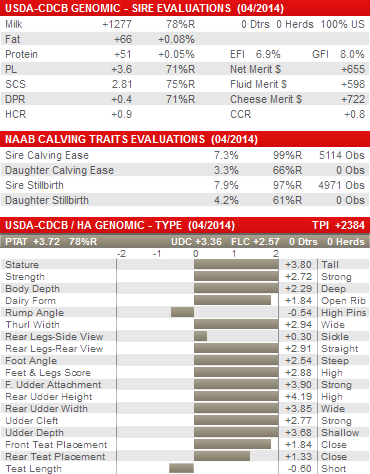 On top of that, while Camaro comes from the Sher-Est S-Wind Saturday EX-90 GMD DOM family which has produced such sires as Sacrates, Mr. Sam and Sidney it is not exactly an extreme sire proving family, given the number of sons that have been sampled out of it. So how does he make our list? Well, it’s hard to deny his extreme numbers. At over +952 for DGV NM$ and high productive life, even if his numbers drop, as I expect they will especially for productive life, he should still be among some of the top sires come April 2016. While breeding strong mammary systems and feet & legs, Camaro will need to be protected on his dairy strength and rumps. He is for sure an extreme sire for health and fertility. From the emerging cow family at Vieux Salue Holsteins, Flame was the first sire to put Vieuxsaule Allen Dragonfly EX-94-2E 14* on most breeders genetic radars. (Read more: Vieux Saule Holstein: Rooted In Family Values and VIEUX SAULE ALLEN DRAGONFLY: 2013 Canadian Cow of the Year Nominee) While most of the time it takes a few sons to receive an official proof before a cow family really hits, genomics has certainly made the identification of such cow families much stronger. 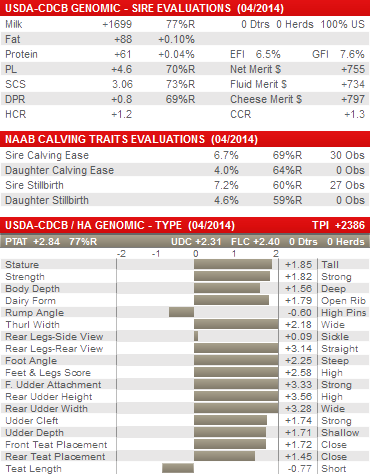 Flame is one of the highest PA TPI sires that should be receiving an official daughter proof by April 2016. All indications are that he should remain among the top sires, once he achieves his official daughter proven evaluation. While his milk numbers may scare some producers, the one thing we found in our analysis of sires from April 2011 receiving genomic evaluations in April 2014 were that it was the extreme genomic production sires that saw the most significant declines, while those sires that were lower, such as Flame, actually held their production values pretty well. While I do expect to see his Productive Life values decline as well, his high components, something that has proven to hold well, and high type (also proven to hold well), should have him as one of the top proven sires. As we found out in our analysis of the top genomic sires from April 2011, it’s not always the top ones that produce the highest daughter evaluations. 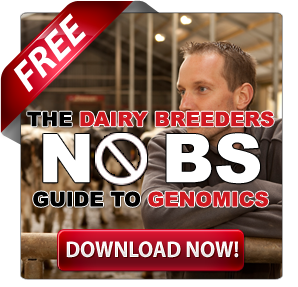 (Read more: The Genomic Roller Coaster – Hold on it’s going to be a bumpy ride) Identifying which sires are most likely to hold their numbers or relative rankings and which ones are going to take you on a rough ride is probably one of the greatest challenges to breeding programs in the world today. Based on the trends that we have identified, these 12 sires stand the greatest chance of holding their numbers and being near the top of the official daughter proven evaluations come April 2016.